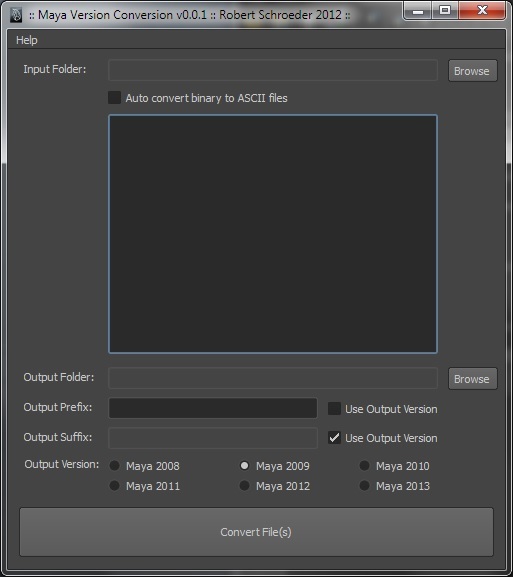 Ever needed to convert a Maya file between versions but the file is too large to open it in your text editor or you wouldn't even know what to edit? Then this tool might be something for you. I wrote this in my spare time, but it has been used in production since quite some time and has proven to be a time real saver when having to convert multiple 2012 files back to 2009 format. As usual you can download the script on creative crash for free. If you find any bugs or have any feature requests, don’t hesitate to contact me. If you use the script and like it, please consider donating to support me in further development of new and existing scripts. Cheers! i tried to use the script, but cant convert anything. 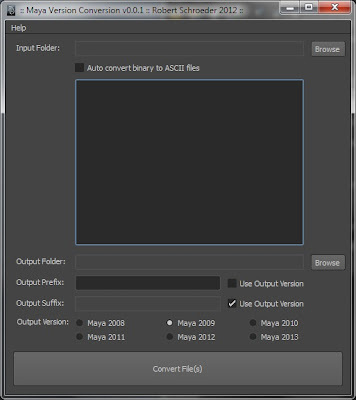 Hey arkadius:) - what version of maya are you using?